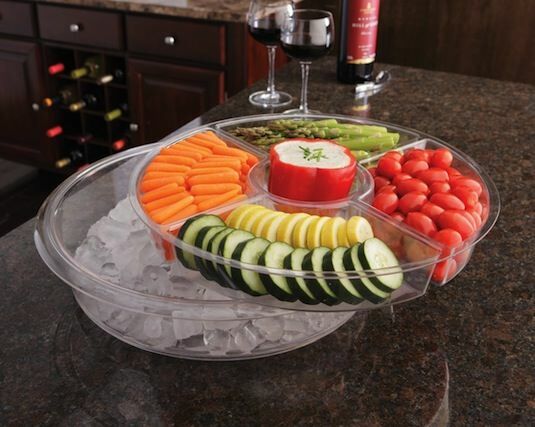 Keep your vegetable or fruit trays cold for long periods of time! This is especially helpful if you are attending a party and have quite a drive ahead of you. 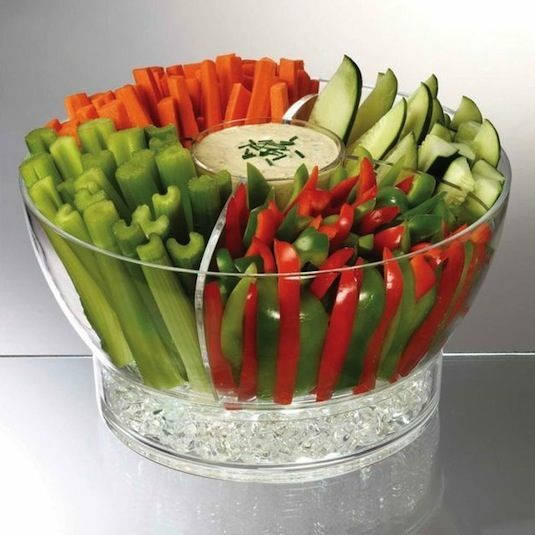 The larger bowl has a detachable divider, so you can also use it for salad or other cold dishes. Hold your veggies together on the grill without the risk of them falling through the grates with these handy grill clips! 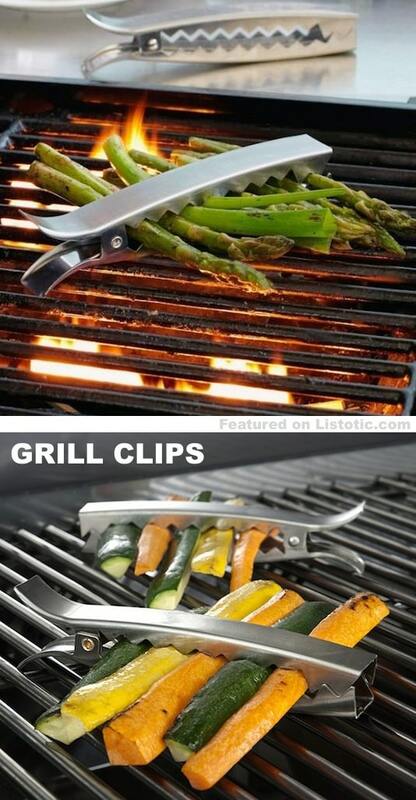 Use your grilling tongs to easily flip and remove them from the grill. This 2-in-1 food bowl allows you to strain the water out with a quick slide up of the integrated strainer. 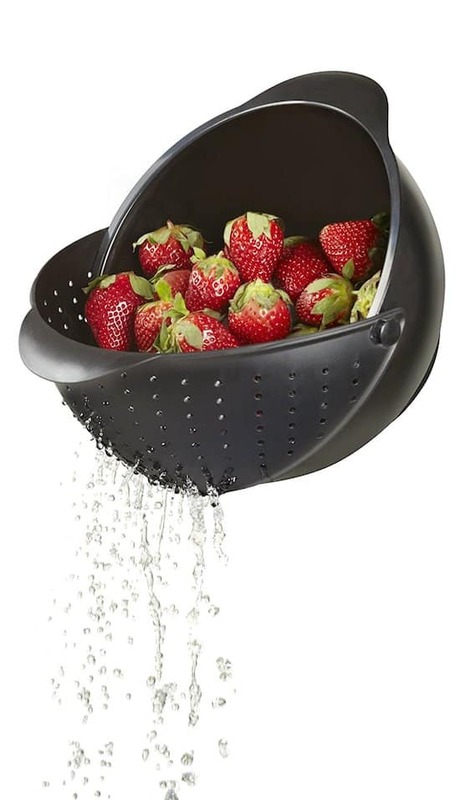 Perfect for washing fruits and veggies!